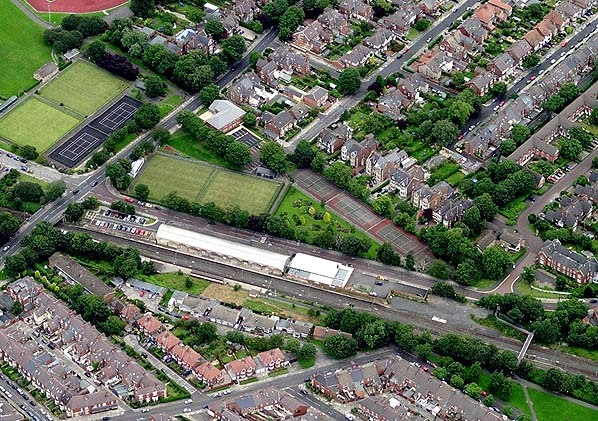 Note: The station was on an alignment some 50 yards north-east of the present Monkseaton Metro station, immediately east of the junction with the Avenue Branch (to Hartley) and the Marine Avenue level crossing. It opened on the day that the New Bridge Street (Newcastle) to Tynemouth services began. There were two paved platforms. On the west platform the main single-storey building was of brick, with round headed windows. The hipped roof was topped by iron cresting and three chimney stacks. A hipped awning sheltered the platform. Screen walls, pierced by paired round-headed openings, extended from the building at either end of the awning. On the east platform stood a smaller hipped-roofed building, accompanied by a similarly roofed signal box, adjacent to the level crossing. accommodate trains on the abortive Collywell Bay branch. The 1915 station remains open on the Metro system. The southern end of the Blyth & Tyne Railway has a complicated history. Until 1861 there was a single route south from Blyth and Seghill through Prospect Hill to Percy Main, with a terminus adjacent to the NER station. 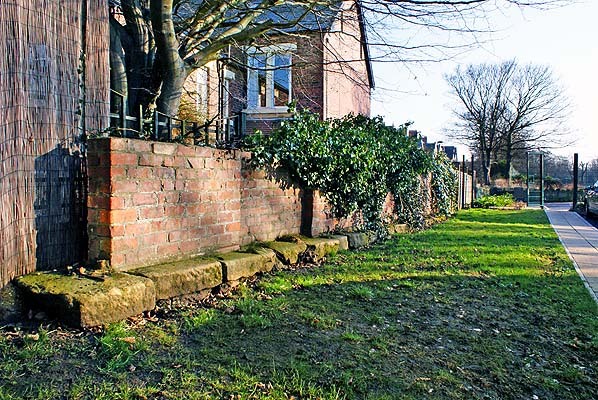 However that year a new branch was opened, following the route of the former Whitley Waggonway, extending from Hartley to Tynemouth. It should be noted that this included the line to what is now Monkseaton, which was to be known as the ‘Avenue Branch’; the line beyond to Tynemouth was half a mile inland of the present day Monkseaton – Tynemouth Metro line. Bridge Street) to Tynemouth, making the Holywell – Prospect Hill – Percy Main route, and the Avenue Branch between Hartley and Whitley (Monkseaton) redundant. 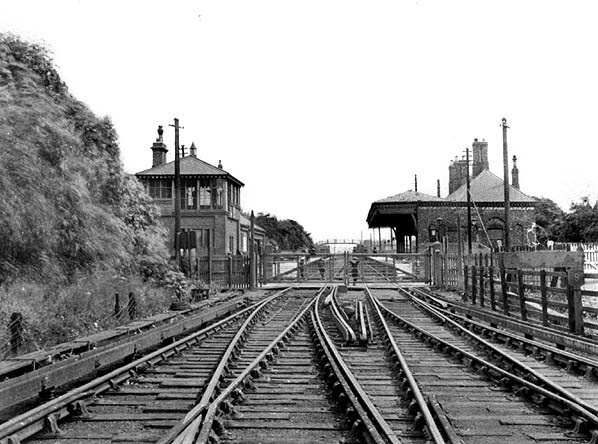 These two lines closed in June 1864 on the day when the Newcastle – Tynemouth service was inaugurated. In June 1904 the Avenue Branch reopened to passenger traffic. 1887 Bradshaw from Chris Totty, 1906 Bradshaw from Chris Hind. Tickets from Michael Stewart & from CJ Dean. Route map drawn by Alan Young. Monkseaton (1st) station was known as Whitley (until 1882). This view is looking east c1910 towards the station, over the Marine Avenue level crossing. The point-work where the Avenue Branch (left) and Coast Circle (right) diverge is in the foreground. Short sections of protected electric third rail can be seen. The main building with the large verandah can be seen on the up (right) platform. 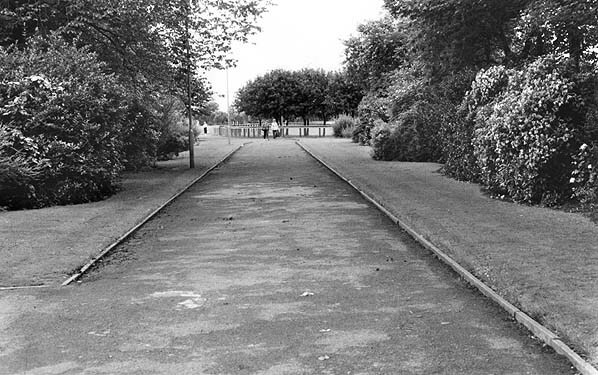 The current Monkseaton (Metro) station replaced this one on a site a little to the south in 1915. 1897 1:2,500 OS Map. This map shows the second site of Whitley station, renamed Monkseaton (1st) in 1882. The lines at Monkseaton Junction diverge (left) to Newcastle (New Bridge Street) and (right) to Blyth. The entire railway layout shown on this map was remodelled in 1914-15. 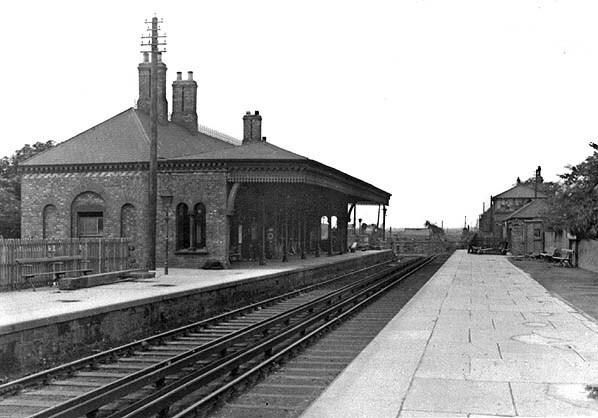 Monkseaton (1st) station looking west from the down platform c1910. Beyond the level crossing over Marine Avenue the Avenue Branch and Coast Circle route diverge. The main building on the up platform (left) is contemporary with Jesmond and South Gosforth, but is entirely different in design; a waiting shed faces it on the down platform. The electric third rails will be noted. Looking north-west from the Marine Avenue level crossing in July 1987 towards the junction. The first Monkseaton station was behind the photographer. Looking south-east over the site of the Marine Avenue level crossing towards the site of the first Monkseaton station in May 2012. The Marine Avenue Medical Centre seen here, stands at the north end of the station site. Looking north-west at the site of the first Monkseaton station in May 2012. 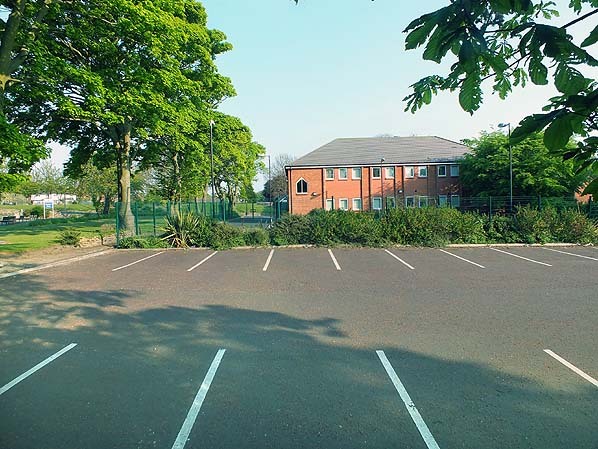 The site of the station buildings now lies under the car park and the Marine Avenue medical Centre seen in the background. 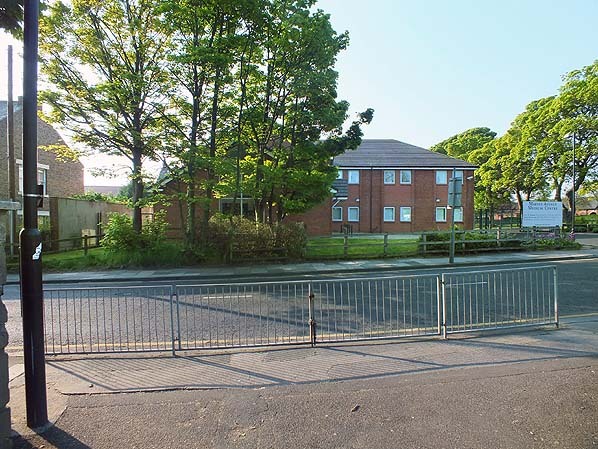 Looking south-east at the remaining section of one of the Monkseaton platorms at the rear of the Marine Avenue medical Centre in 2014. In this recent aerial view the site of the first Monkseaton station to the north of the present station is clearly seen.